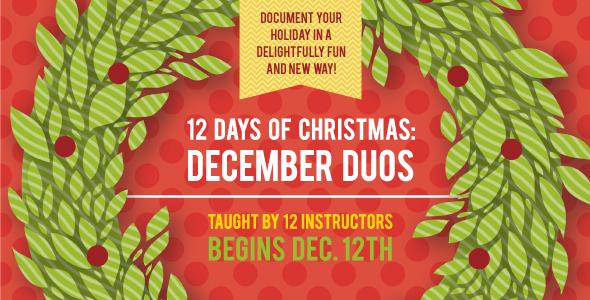 Aly Dosdall: december duos is back! Capture Christmas as it happens! A dozen instructors are here to help you photograph this year's holiday memories in real time—and display them in a delightfully simple album that will warm your heart for years to come. Please note: All guided workshops you sign up for between now and January 31, 2015 will be transferring to our new site, so you can continue to access the content online even after the transition. We will send you a unique code for each class once the new platform is live. You will then enter this code into the new site and PRESTO, your class content will be archived there. You are also welcome to download and keep anything you wish.